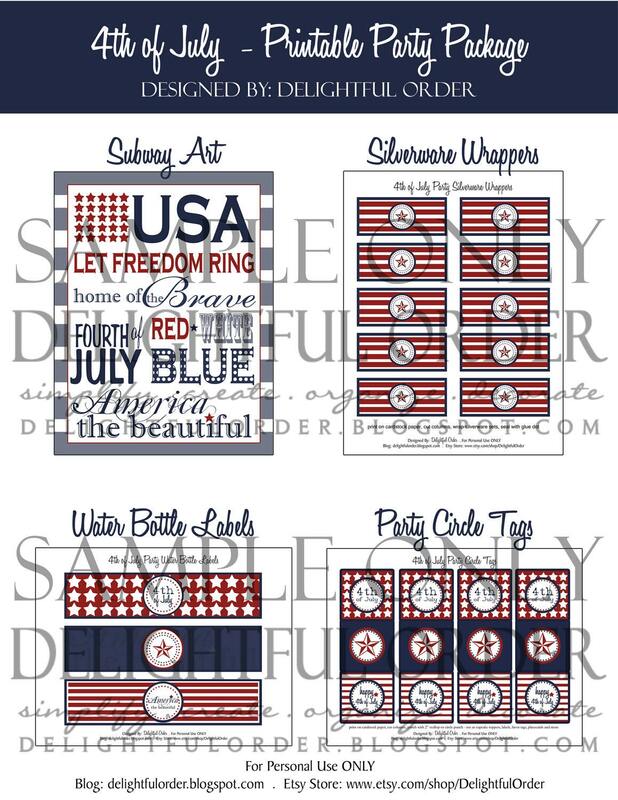 4th of July is fast approaching and because I LOVE party planning and creating digital designs, I created a WHOLE printable 4th of July party package AND it's NOW available in my ETSY shop! 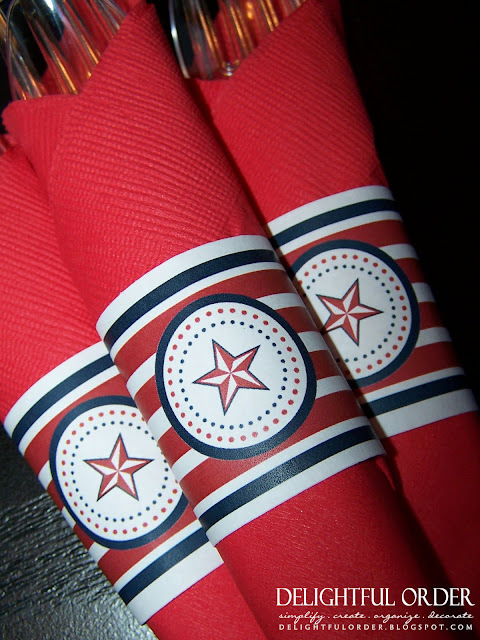 It's a complete printable package which includes: Party Circle Tags, Water Bottle Labels, Silverware Wrappers and Subway Art. 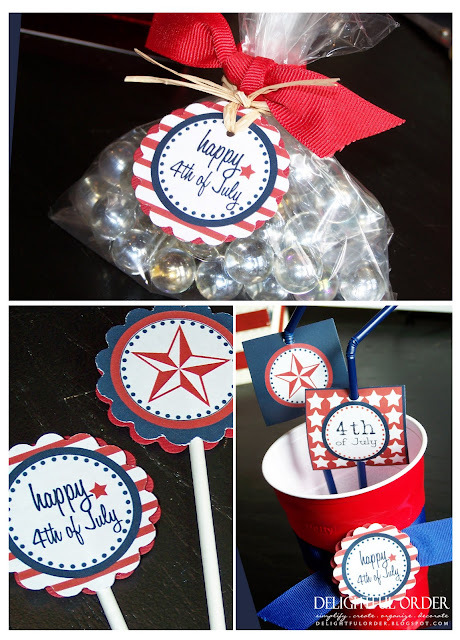 It's so easy to have a super cute party simply with paper! 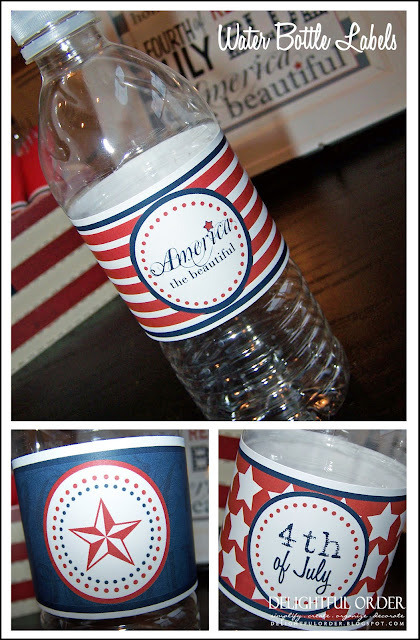 Use as cupcake toppers, labels, favor tags, thank you cards, decorations, place-cards and more. To view the tutorial on how to create with party circles, GO HERE. and I LOVE. LOVE. LOVE designing it! This one is part of the package too! Each file is in PDF DIGITAL FORMAT, which is emailed to you to download and print on 8.5 x 11 paper. This allows you to have unlimited printing abilities. Print as many as needed for your event. Simply Click the image above to be directed to the package in My Shop. AND the bonus is this package is now on SALE!! Stop by and get yours today, as these prices won't last forever. 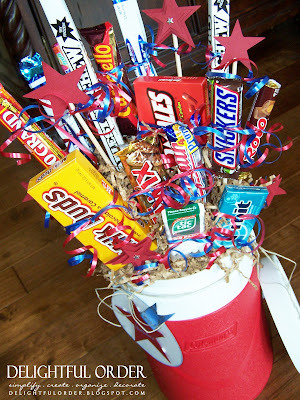 This would be cute as a table centerpiece or party decor AND it's a yummy treat for those who LOVE tootsie pops. 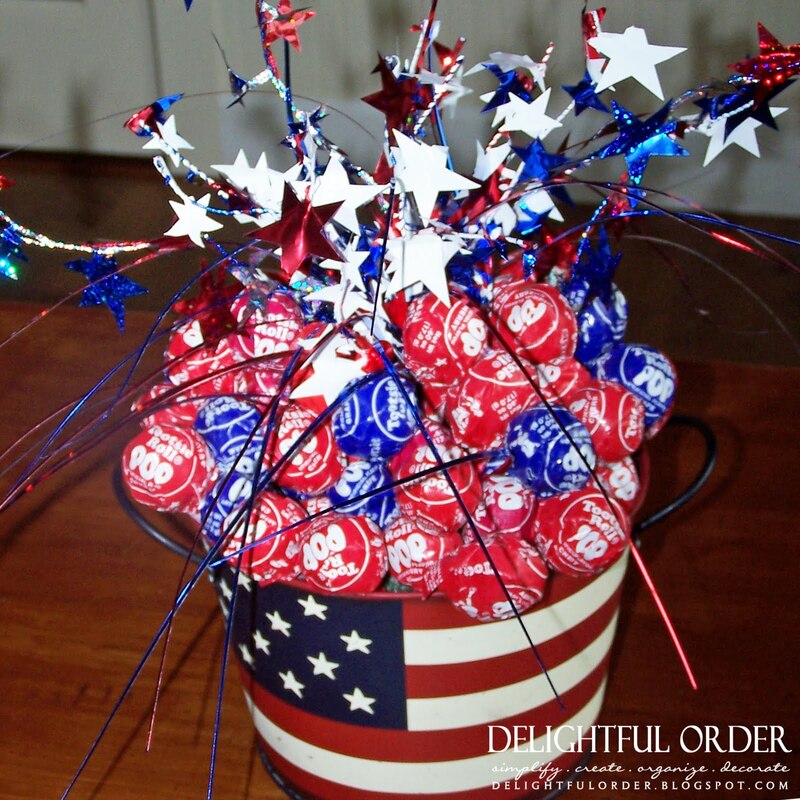 Simply insert red and blue tootsie pops into styrofoam in a festive bucket or basket. 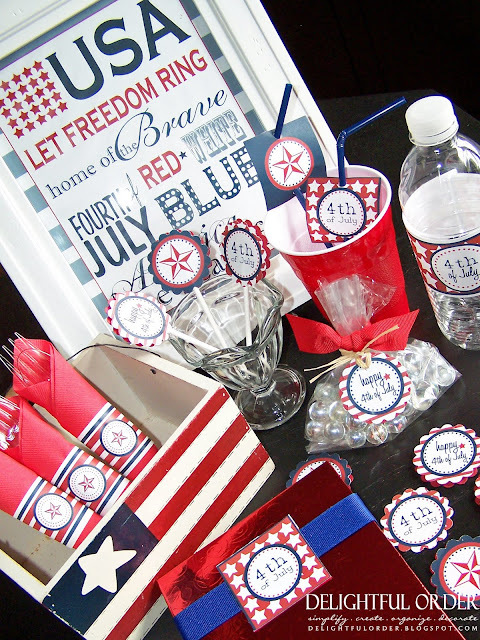 Go HERE to view the COMPLETE 4th of July Printable Party Package in my ETSY SHOP. Hi I'm your newest follower over here from the Sunday Scoop. I am also about to Favorite your etsy shop. This looks great! 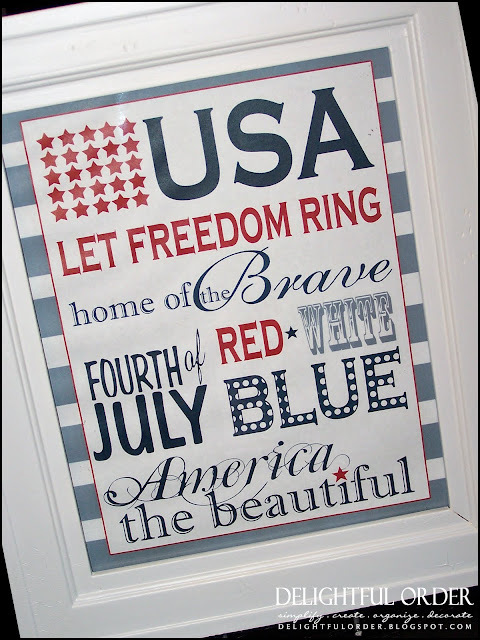 Love all the red, white and blue! wow! tons of great ideas here! i love blog world because there's so much fun stuff out there.